Technogeeks alert: the Powercolor ATI Radeon HD 4870 512MB DDR5 PCI-Express Video Graphics Card provides performance once only seen in cards that were so expensive only a few could afford one. Here you have a frame busting card for not a lot of money. The raw performance produced from the Powercolor ATI Radeon HD 4870 is earth shattering considering its price to performance ratio. PowerColor has once again outdone itself bringing us the HD 4870 video card. The Powercolor ATI Radeon HD 4870 takes the memory from the previous standard of GDDR3 to the new GDDR5 which, even with lower memory clock speeds, boasts a higher memory bandwidth over GDDR3, all with a 256-bit memory bus versus the 512-bit that the new NVIDIA GTX series cards are using. Get the Powercolor ATI Radeon HD 4870 512MB DDR5 PCI-Express Video Graphics Card now for US$ 173.56 (that’s 28% off its price)! Let’s get classic! Classic video games from the past return in new shape! We respect venerable good ol’ video games that made history (in one way or the other!). Here’s a poker of video game history makers, somehow shaped for new challenges and, more important, fitting your pocket so you can retro-play wherever you are. No more arcades? 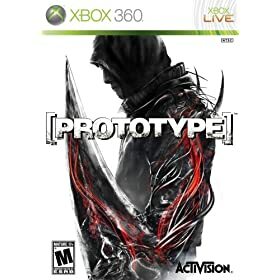 So what about an all-time classic? Enter Classic Arcade Space Invaders : 1978-design still intriguing; hordes of swarming hostiles ready to invade us! (I guess I’ve exterminated zillions of them, don’t tell SETI about it). LCD version: small joystick, same threat, same hours spent fighting ‘em. Atari’s smash hit featured the very first trackball around and, as coins were spun in, the trackball was spun around tracking down falling missiles from a bunch of soon-to-be-destroyed bases (you, by the way). MGA’s Classic ArcadeMissile Command even reproduces the same arcade cabinet, without the need for coins alas. Again, long before PSPs and even Nintendos portable consoles, Mattel was ruling with their pocket games. By today standards they barely seem laughable, but back then… the LEDs minimalistic-displays were hard to beat and the games were tough. 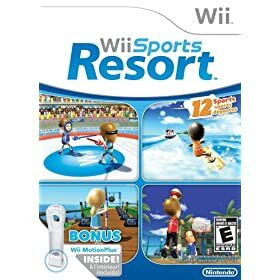 One player or two can try this one. For a complete and shared experience there’s even a Classics Sports Plug and Play featuring old-school football, baseball or basketball you can play on standard TV sets (no HD-TV allowed!). Batteries not included, fun is! 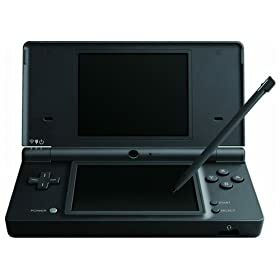 The friends at portable-console.com report that gaming giant Nintendo has unveiled its new version of the DS handheld games console - the Nintendo DSi . The Japanese company said the third version of the console can be used to download games, play music and take photos. The Nintendo DSi is due to go on sale in the US on April 3 and will cost US $169.99. The company says it has sold nearly 80 million of the consoles around the world since they went on sale in 2004. PlayStation 3 Rock Band 2 galore! What’s best next to a (already gorgeous) PlayStation 3? PS3-level accessories and hit games! Rock Band 2 for PS3, for example! Rock Band 2 lets you and your friends take your band on an even more expansive and immersive world tour - in person or online - and continue your rock and roll fantasy. Harmonix, deliver Rock Band 2 , the next step to the platform that lets audiences of all ages interact with music in an all-new way. 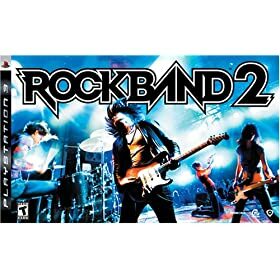 Rock Band 2 lets players vicariously jam out as some of the best guitarists, bassists, drummers and singers of all time. 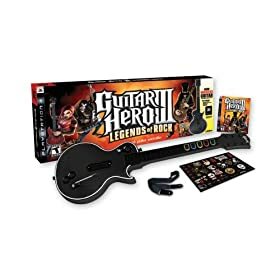 Featuring a track list with more than 100 on-disc and downloadable tracks from some of the most hallowed bands of the rock pantheon, Rock Band 2 by challenges rockers to master lead guitar, bass guitar, drums and vocals. Wanna get pro with rock music? Get yourself real instruments such as the Rock Band 2 Double Cymbal Expansion Kit ! Mad Catz Rock Band 2 Double Cymbal Expansion Kit provides the means for you to drum like the pros do with velocity- sensitive Crash, Ride, and Hi-Hat cymbals. With the easy-to-install mounting brackets, you have total control and can setup your drum kit in any configuration you see fit. Once your drum kit has been customized to your standards, you¿ll be all set to attack your song library with new vigor and achieve the next step in drumming perfection. 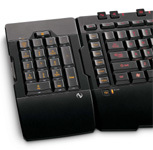 Microsoft SideWinder X6 Keyboard: THE Gamer’s keyboard! : the powerful companion to the Microsoft line of award-winning SideWinder gaming mice. 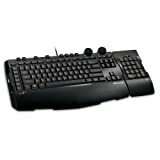 This breakthrough keyboard incorporates a host of powerful features, including a detachable key pad, ingame macro recording, a full media key set, automatic and manual mode/profile switching, two-color dimmable backlighting, and much more. 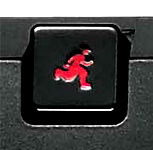 Plus, at the touch of a button, it doubles as your high-performance keyboard for everyday computing. assign up to 90 macros. •	Automatic Profile Switching: The keyboard detects the application you are running and applies your custom profile to the application. •	Media Keys: Play/Pause, Previous Track, Next Track, and Mute. •	In-Game Macro Record Button: Record any sequence of keystrokes–even standard chat messages. Macros are stored on your hard drive and can be easily shared. •	Quick Launch Key: Instant access to Microsoft Games Explorer (with Windows Vista) or IntelliType Pro keyboard properties (with Windows XP). Check the very latest price for the Microsoft SideWinder X6 Keyboard . 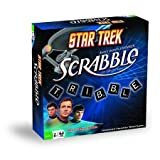 , an innovative gamepad and keyboard that integrates crucial gaming functions into one, sleekly designed device. Whether your passion is rooted in FPS, MMORPG, or RTS games, Belkin’s n52te is built to deliver wicked-fast response to whatever mayhem comes your way. puts keyboard and gamepad functionality into one small and easy-to-use unit, delivering more tools for customizing your game than ever. Using feedback from hundreds of gamers, Belkin’s engineers designed the n52te’s intuitive nature and stylish versatility to give you easy access to your arsenal of deadly maneuvers. An adjustable soft-touch wrist pad offers maximum comfort and endurance, while the backlit keypad and scroll wheel give you total control in dark conditions. Gamers demand speed and instantaneous response, so the n52te features enhanced tactile feedback and button responsiveness for rapid key presses. Non-slip, rubber stability pads keep the device in place so you can concentrate on firing, bobbing, and weaving.
. Fifteen fully-programmable keys and three keymaps are built for complete customization and speed, giving you intuitive setup and performance. The 8-way thumb pad is programmable, as well, and it sports a removable joystick.